Gray Squirrels: Friend or Foe? 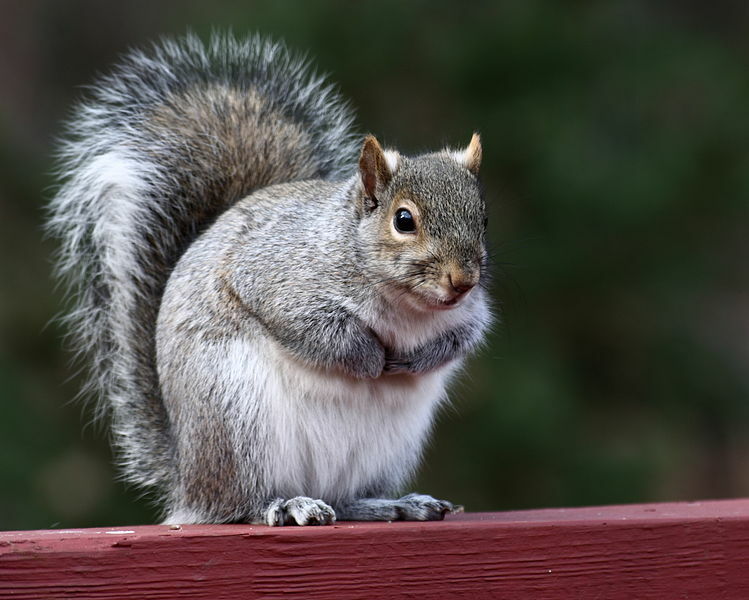 Recent study by naturalist and amateur squirrel researcher Douglas Hitchcock reports that Gray Squirrel’s large bushy tails in fact no longer serve any physiological function for basic survival. Hitchcock reports that millions of years of evolution have created larger more bushy and aesthetically pleasing tails specifically to stop girlfriends directly in their tracks for approximately six to seven minutes. “Ask anyone” Douglas tells us looking down and shaking his head in a slightly confused manner “I mean you’re walking to a dinner reservation or are trying to get to the liquor store before it closes, your girlfriend spots one of these squirrels and it might as well be game over. You can pull her hand and mutter let’s go it’s just a squirrel as much as you’d like, but until she scares it off to the other side of the tree, your plans are fucked”. In a recent all university poll including 9,487 women enrolled at Oregon State University near as make no difference 100% answered “Awwww!” and “Oh my godddd, So cute! !” while stamping their feet and jumping up and down to a simple blurry Polaroid photo of a fairly large North American Gray Squirrel. Lisa, Oregon State University student studying microbiology say she spends four to five minutes each day “just watching them scurry about with their bushy tails collecting old beer cans and eating students trash”. Recent infatuation of irresistible cute animals has skyrocketed the sale of kittens and chinchillas in the greaterCorvallisarea. Petco check-stand employee of five years Kyle Stephens says he hasn’t seen anything like this in years, stating “Oh I’d say I see 10 to 12 girls walking out of here with kittens every week” Kyle also added that ” in my opinion none of these girls seemed to understand the responsibility of owning an animal that can escape out of doors quickly and climb fences with ease”. Hitchcock reports the recent spike in adorable animal sales is directly proportional to the population of Gray squirrels. Just spotting a glimpse of one leads to some sort chemical reaction in the female brain yet to be understood by modern science and neurologists alike.Douglas ended our interview with “I’m literally just tired of walking through campus with girls anymore”.